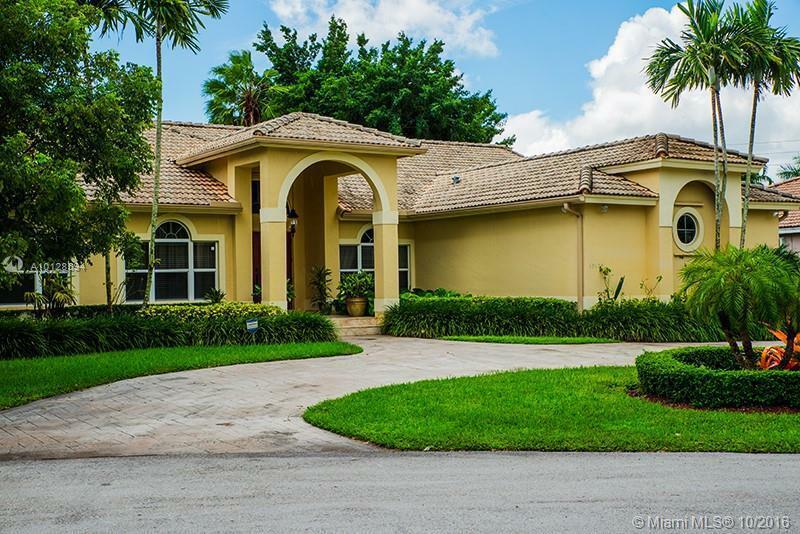 Beautiful 2 story home in the spectacular community of Doral Isles Riviera. 4 beds 3 Baths. Upgraded 3 car garage. Pavered backyard with Gazebo and Grill area. Big and heated swimming pool with spa. Tile downstairs and laminated wood floors upstairs. Generator installed in 2009. Security video cameras. Alarm. Sprinklers system. Amazing community with 3 pools, gym, restaurant, soccer field, party rooms, tennis and basketball courts. Best schools in the area A+. Live and Enjoy a comfortable lifestyle. Reduced, Do not miss the opportunity to own a beautiful house in Palmetto Bay. Pool, jacuzzi, impact windows, porcelain floors, granite counter top, remodeled bathrooms, 2 AC units. Perfect location, quiet neighborhood, close to shopping centers, well known schools such as Palmetto, Gulliver, Palmer trinity High Schools. Public records show 4 bedrooms, House has 5 legal bedrooms. BEAUTIFUL 5/4 HOME ON A QUITE CUL-DE-SAC. WOOD FLOORS, MARBLE COUNTER TOPS, STAINLESS STEEL APPL. WINE COOLER, BEAUTIFUL POOL AREA. GREAT LOCATION! IMMACULATE! PRICED FOR QUICK SALE. 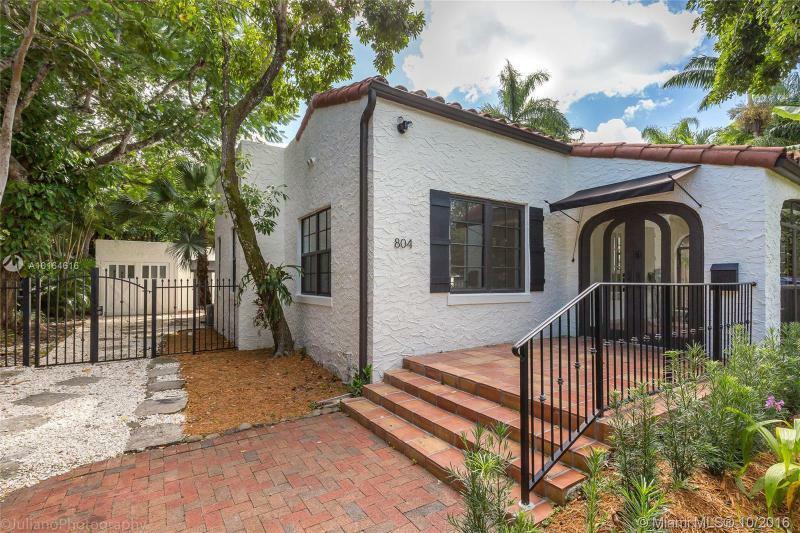 This beautifully renovated gem on quiet tree-lined street in the prestigious Coral Gables Riviera section. This home features updated kitchen with top of the line stainless steel appliances, updated bathrooms, Plantation shutters, designer colors, porcelain tiles and elegant laminate floors, spacious living areas, electric shutters, 2 car garage & much more. 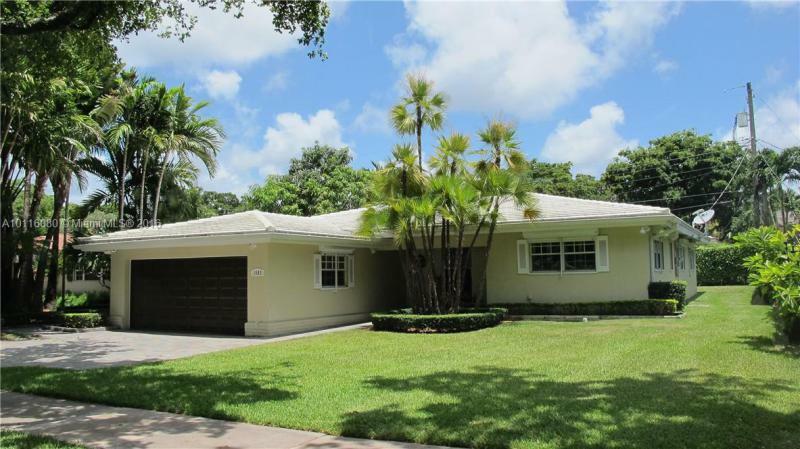 Awesome location just steps to University of Miami, Coral Gables Business District, South Miami & Coconut Grove. Prestige Estate Home. One of a kind! Offers the finest upgrades & attention to detail. Italian Crema Marble, Hardwoods,Stone, Granite and Onyx throughout .Impact Windows and Doors throughout, Artisan Crafted Art Glass. Full Gourmet Kitchen: Custom Wood Ca binets, Viking Appliances, Custom Granite Countertops, Water Purification & Filtration System. 2 New A/C.30KW Generac Generator, automatic transfer switch. A/C 3-Car Garage. Full Attic Foam Seal insulation .Resort Style Heated Salt Water Pool/Spa. LOT #5. LUXURY TWO STORY FAMILY HOMES, 5 BETHROOMS AND 5 BATHROOMS, BRAND NEW IN THE EXCLUSIVE BELEN AREA. OVERSIZED LOT, ONE OF THRE ROOMS IS COMFORTABLY LOCATED ON THE FIRST FLOOR AS WELL AS A FULL BATHROOM, POOL AND TWO CAR GARAGE. ALL OF THEM FEATURE IMPACT RESISTANT WINDOWS AND DOORS, PORCELAIN TITLES, GRANITE COUNTERTOPS IN KITCHEN AND BATHROOMS, S/S APPLIANCES, PAVERS IN FRONT AND MORE...!! 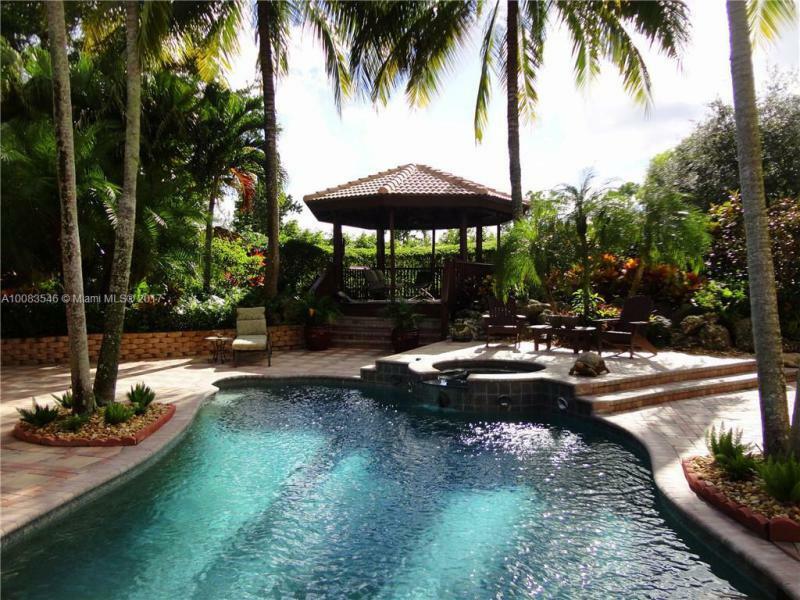 Tastefully restored classic Coral Gables Spanish Mediterranian style home. Nearly everything in this house is brand new. New impact windows, roof, bathrooms, kitchen, electrical, plumbing, insulation, LED lights, refinished hardwood floors, full gut remodel. Three bedrooms two baths in main house with separated converted garage with a full third bathroom that can be used as a fourth bedroom, or workshop. Incredible location central to Miracle Mile, Downtown, South Miami. Recently finished, never occupied. KEY LARGO PARADISE! Live like you?? ?re on vacation. Spacious 3/2 w/70ft concrete dock & beautiful view of crystal, clear free flowing canal. Kayak or paddle board to nearby Dolphin facility. Wrap around balcony, spacious for entertainment. Plenty of space for boat/trailer, cars parking.